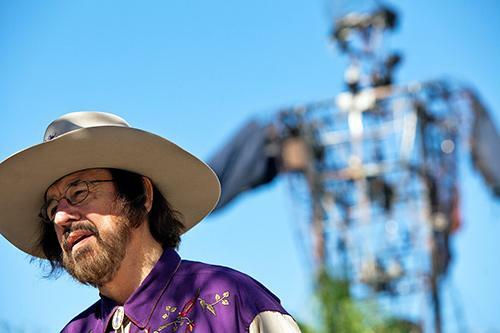 Today on Anything You Ever Wanted To Know, listeners called in to pay respects to Big Tex while the burned remains of the State Fair patriarch were being carted away in pieces. NPR's John Burnett called in from Africa to share his times with Big Tex. 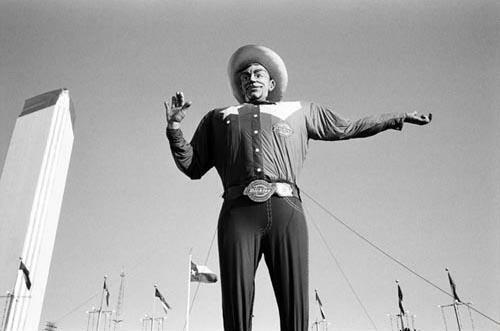 When Brianna from Dallas' fiance suggested they take their engagement photos with Big Tex, she felt a little weird about it at first. Now, the photo with the icon is a family heirloom. Briana from Dallas on how Big Tex became part of her family ... sort of. Grace from Dallas remembers her mother reading to her from the Dallas Morning News about Big Tex being built. As a tiny child, her anticipation mounted as she waited to visit the giant. What she saw, though, in the deserted automobile building, was something that would go on to haunt her. Grace from Dallas remembers seeing Big Tex in a less-than-glamorous light. Updated with video: The skeleton of Big Tex is being removed from Fair Park after a fire consumed the mammoth icon of the State Fair of Texas this morning, just days after his 60th birthday.